Discover Eumundi - Eumundi & District Historical Association Inc. 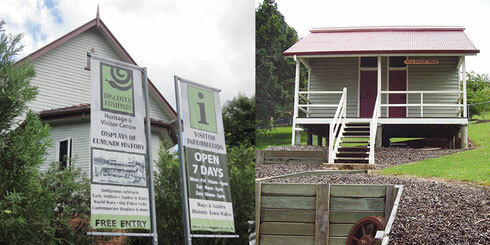 Houses a significant collection of photographs, documents and artifacts from Eumundi and the surrounding District. In 2015 a new building called Wan'din'in was built at the back of Discover Eumundi.